0NE LOOP CANDY DISH BASKET This small sweetgrass candy dish basket is ideal for serving candy and anything else you can think of! BASKET PIN Cute little sweetgrass basket pin. CHILD'S SWEETGRASS BASKET PURSE Your little girl or grand child will love this purse. Or keep it for yourself. CROSS HANDLE FRUIT BASKET This sweetgrass basket will make a wonderful Easter basket. CROSSHANDLE SWEETGRASS BASKET W/ LOVE KNOTS & PEDESTAL This beautiful basket has a pedestal base and love knots around the top. 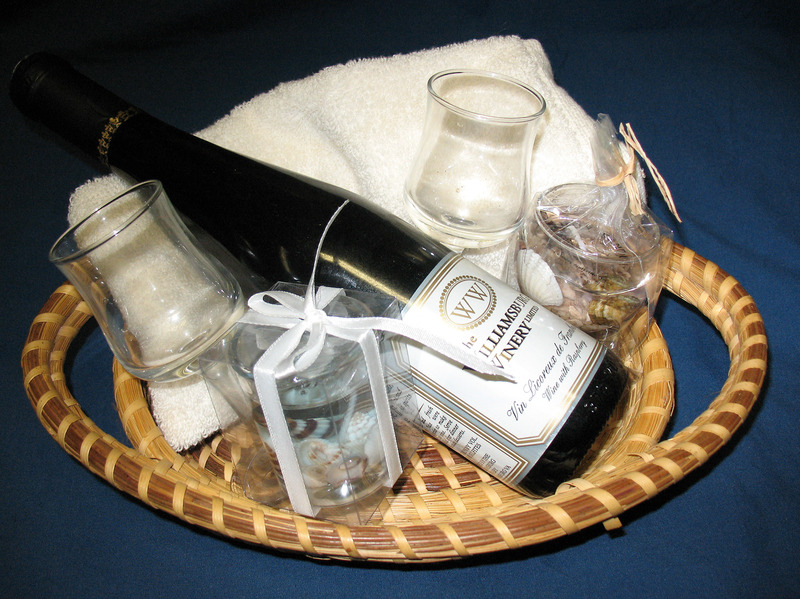 DESIGNER FRUIT BOWL BASKET This sweetgrass fruit bowl basket has a pedestal base. DOUBLE LOOP ONE HANDLE BREAD BASKET This lovely sweetgrass basket has two intertwined loops in the handle. ELEPHANT EAR BASKET This basket is everyone's favorite. The perfect gift for someone special. GULLAH BREAD BASKET This sweetgrass basket is very unique and can be used for many purposes. 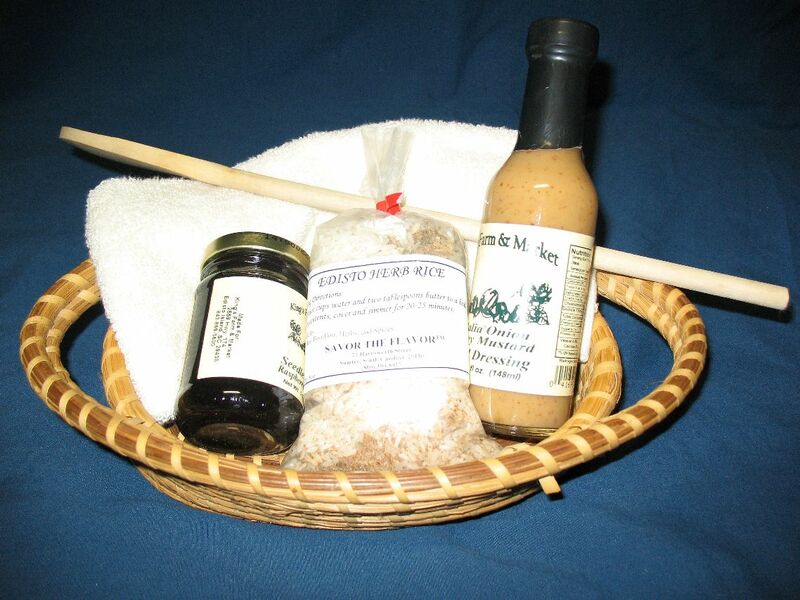 Sweetgrass basket filled with lowcountry food items such as Edisto Island rice, vidalia onion salad dressing, preserves and more. 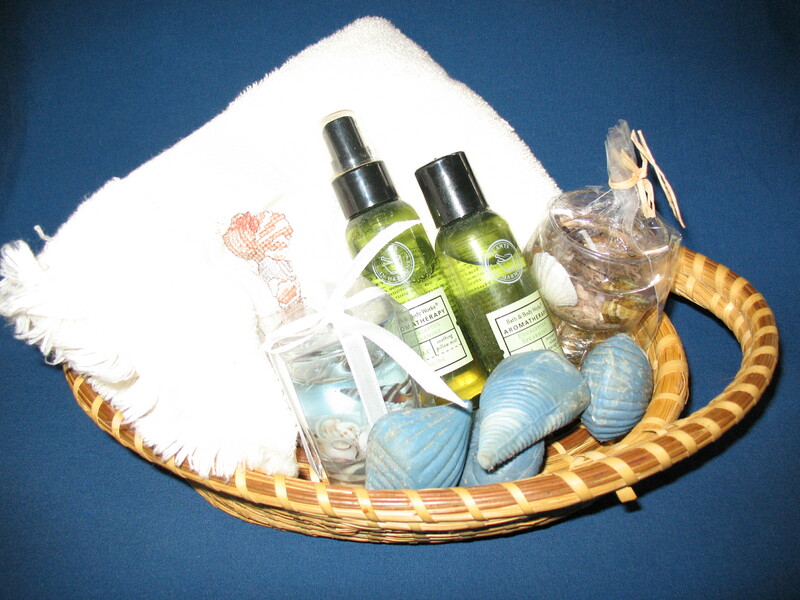 Sweetgrass basket with towels and bath and body products. Small Medium (+$80.00) Large (+$150.00) Size will be determined by basket size used.